The Resource Center features current information from Veterans Administration, California Department of Veterans Services, County of Orange, City's Marine Adoption Committee and non-profit agencies serving veterans, active duty military and their families. The Community Resource and Hotline Guide is also available at the Resource Center. The City of Mission Viejo provides direct services and support for veterans and active military personnel through the Norman P. Murray Community & Senior Center and the Mission Viejo Library by collaborating with professional and non-profit organizations. 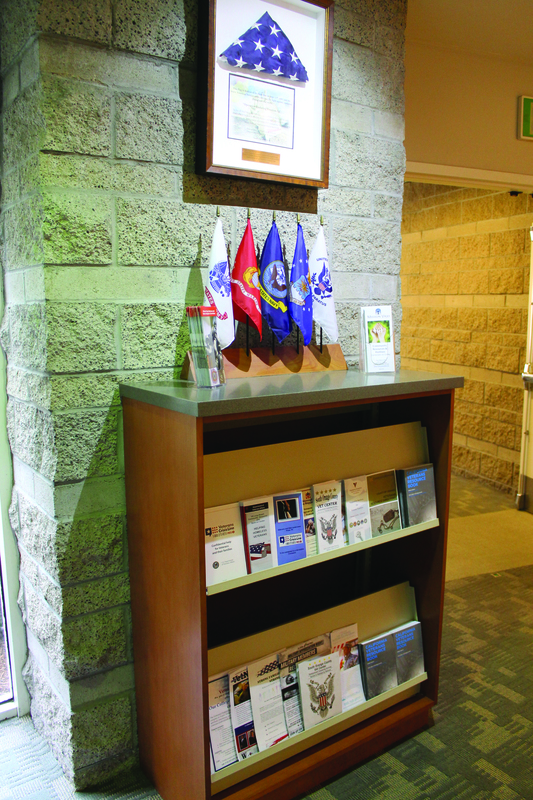 Programs and services are available for free to all ages and branches of military. Dates: 2nd Wednesday of every month, 9:00 a.m. to 3:00 p.m. Dates: April 4, May 2, June 6, July 11, Aug 1, Sept 5, Oct 3, Nov 7, Dec 5 ; 1:00 p.m. to 4:00 p.m.
Services: Pro-bono legal services to current and former U.S. service members who are homeless, at risk, disabled, or low income. Dates: 3rd Saturday of every month, 9:00 a.m. to 3:00 p.m.
By appointment only: 30-minute session; call to schedule an appointment. Frequency/Dates: 1st Wednesday of every month; 1:00 p.m. to 4:00 p.m.
By Appointment Only: Schedule a free appointment here. Services: Transitioning to civilian life? Interested in starting your own business? Set up a free appointment to talk with an experienced volunteer with the Service Corps of Retired Executives (SCORE).